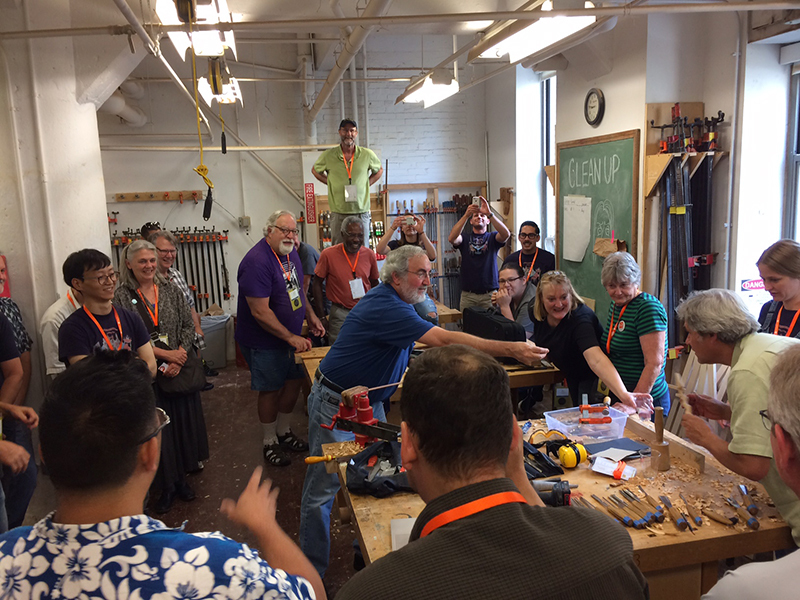 The 2016 Furniture Society Conference was held at the University of the Arts in Downtown Philadelphia, June 23rd – 25th. ShopBot’s role as a sponsor was to bring along a tool to be used for a workshop called “Exploring the Fourth Dimension” that was being led by a team from the University of Minnesota. The workshop functioned as an open forum for anyone interested in 4-axis machining to participate and learn more about the process of going from CAD to CAM to finished part. There was a strong emphasis on digital fabrication at the event this year, with topics ranging from integrating carbon fiber into hand-crafted furniture design, to an overview of Rhino’s parametric modelling platform – Grasshopper. 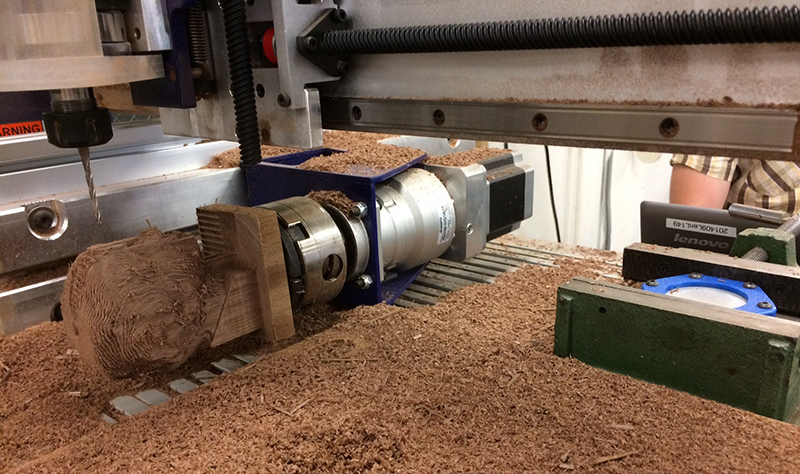 The tool we brought along was a Desktop MAX with a 6” Indexer mounted along the tool’s X axis, allowing for stock to be turned up to 36” in length and 8” in diameter. While the setup started out as an experiment on getting a larger Indexer onto a Desktop sized tool, we were pleasantly surprised with the results and have big plans for the configuration in the future. Desktop MAX with 6″ Indexer. Another new feature of the setup was a fixed z-zero plate shown mounted in the vice below, which allowed for auto-zeroing to the stock’s axial center, as well as an automatic clearance height calculation to avoid maxing out on our z-height for larger diameter parts. 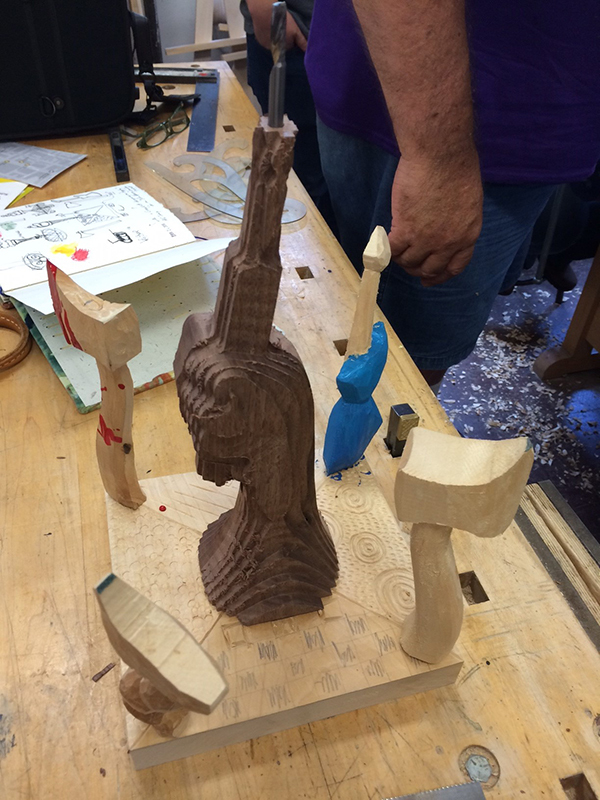 Cantilevered 3D scanned bust – machined from walnut without a tailstock. 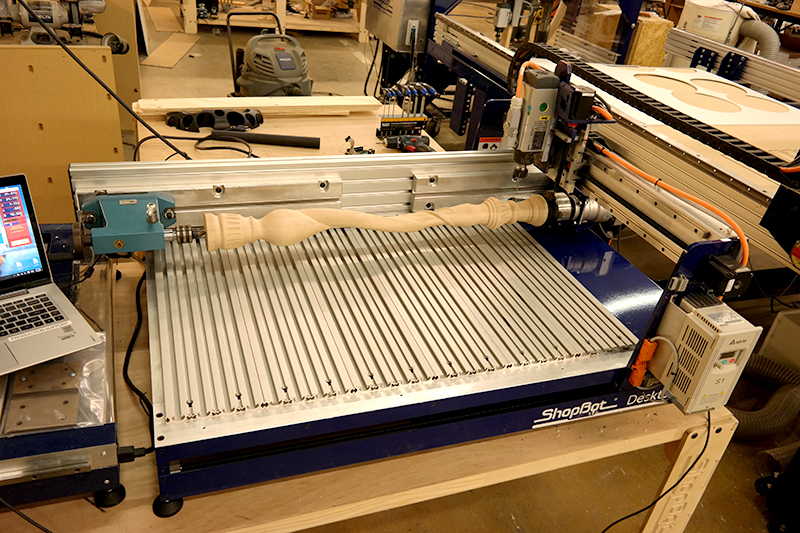 The workshop culminated in a John Henry style carve-off between a team of mallet and gouge wielding hand carvers, who competed against the Desktop MAX. Check out our design and final (sadly unfinished) cut below. The scene of the competition. Final collaboration between man and machine. Thanks to Kevin Groenke of University of Minnesota for the pictures.